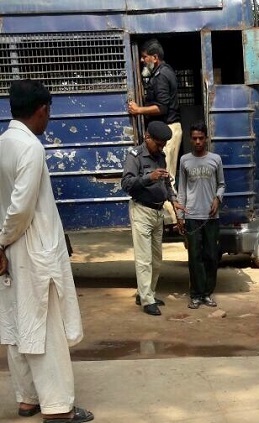 Lawyers representing a 16-year-old Pakistani Christian boy accused of blasphemy for ‘liking’ a photo posted on Facebook have reported being intimidated by the complainant’s supporters as they made their Appeal Court appearance on 3 October. Aneeqa Maria Anthony, head of the legal team representing the boy, Nabeel Masih, said she was told by a lawyer for the complainant to “watch herself and stay away”. She also said about 80 people at the hearing made the courtroom tense, after they protested and threatened Masih’s family. The appeal was heard in Pattoki, a town 50 miles from Lahore in north-eastern Pakistan. Anthony will apply to get the case heard in Lahore, where her legal team and the boy’s family will feel safer. Pakistan is an Islamic state. We are all Muslims. These are Muslim courts, so you should not defend such a criminal. You people come here from Lahore to pursue this case, but there are many people here whom you cannot see, so you better watch yourself and stay away. She said she is “confident [Masih] has committed no crime and that is why we are representing him… Nabeel is innocent: the accusation against him has not yet been proven”. Masih was arrested on 18 Sep. after a complaint had been filed with the police earlier in the day. 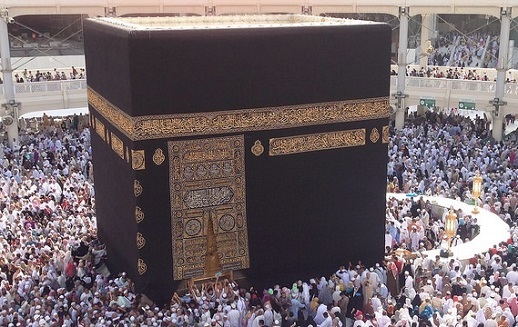 The complainant, Akhtar Ali, said Masih had ‘liked’ and shared on Facebook a defamatory photograph of the Kaaba – the building at the centre of Islam’s holiest site in Mecca. After the incident many Christians living in the area went into hiding fearing reprisals, though they later returned. Religious freedoms are guaranteed in Pakistan’s Constitution, which was a secular state at its independence in 1947, though became an Islamic republic in 1956. It is estimated that 95% of Pakistan’s population are Muslim, and about 1.6% (2.5 million) Christian. In the 2016 World Watch List (published by Christian charity Open Doors) of countries where it is most difficult to live as a Christian, Pakistan is 6th, just behind Syria. “Pakistan’s blasphemy laws continue to be abused to settle personal scores, particularly against minorities including Christians,” reports Open Doors. “District-level police are often under the control of powerful politicians, wealthy landowners, and other influential members of society. There are numerous reported cases of police extrajudicial killings of criminal suspects, torture of detainees to obtain confessions, and harassment and extortion of individuals who seek to file criminal cases. In July, Pakistani Christian Nadeem Masih and his family fled their home in the religiously conservative city of Gujarat after he was accused of committing blasphemy by sending an offensive text message from his mobile phone. In May, Imran Masih, a 30-year-old road sweeper, was attacked and had a fatwa declared against him after a work colleague said he’d found an anti-Islamic video on Masih’s phone.